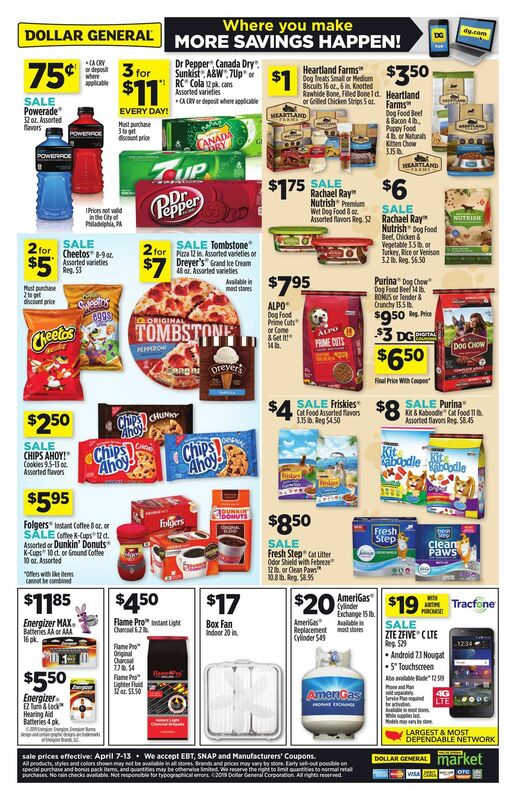 View Dollar General best deals: Coca-Cola, Diet Coke or Sprite; Kingsford Match Light; Purex Liquid Laundry Detergent; Ajax or Palmolive Dish Liquid; Clover Valley Black Pepper Grinder or Sea Salt Grinder 1 ct. or Campbell’s Chunky Baked Beans + Pulled Pork 20 oz; DG home Foam Compartment Trays 20 ct., Storage or Freezer Slider Bags Quart or Gallon Assorted counts or Plastic Grip Cups 26 ct./18 oz. 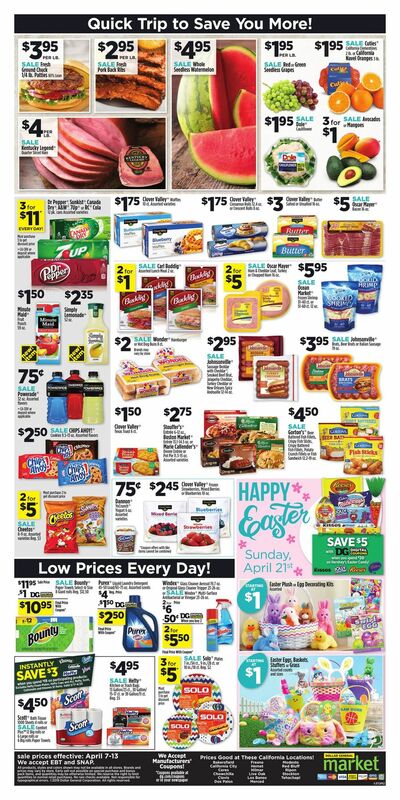 or Mardi Gras Napkins 200 ct.; Americana Flip Flops; Ladies’ Americana Socks; Trueliving 14 in. 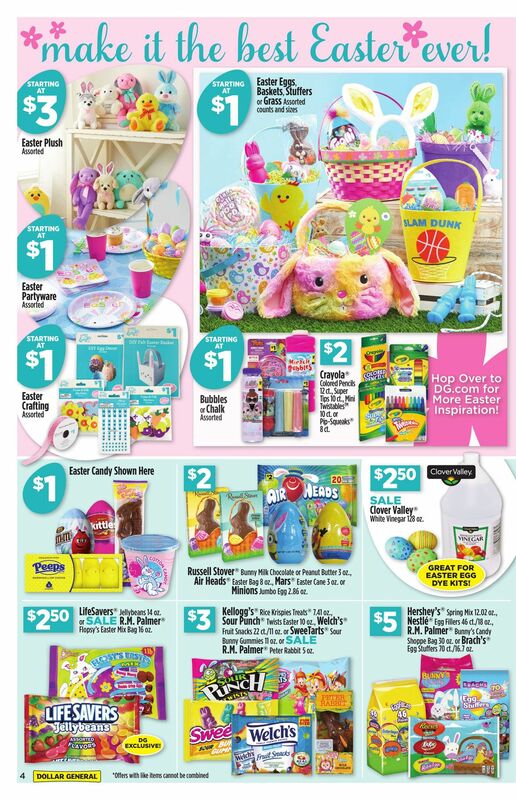 Round Table Grill; X-Shot Bow & Arrow or Bug Attack Toy Blaster. 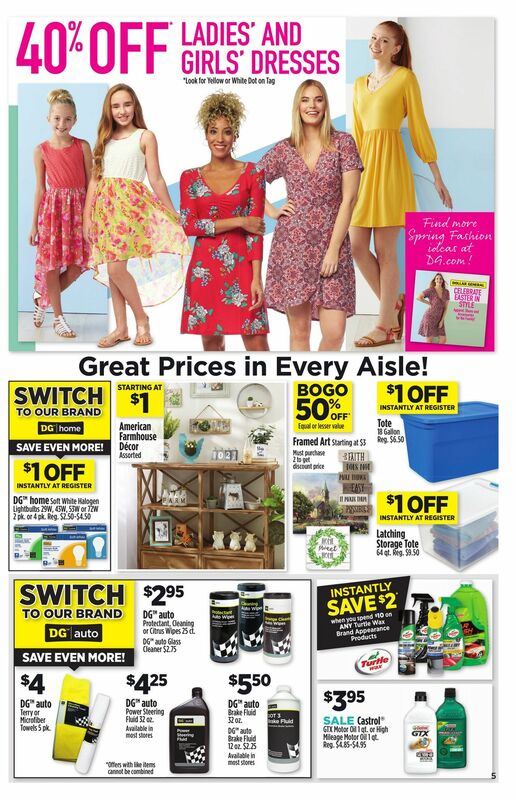 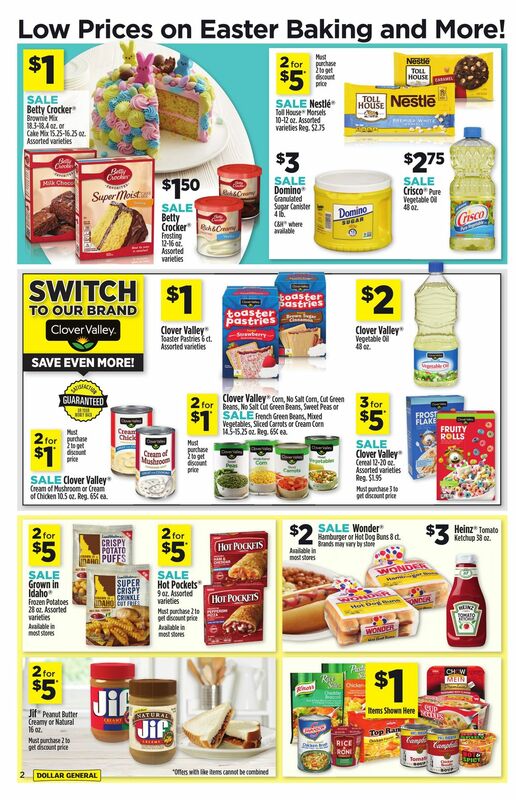 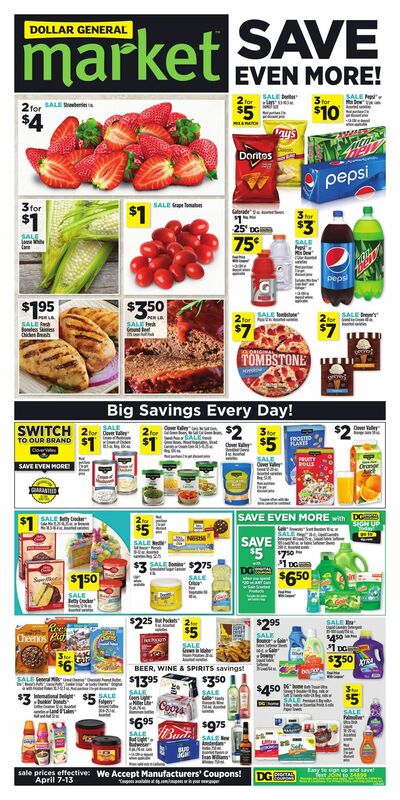 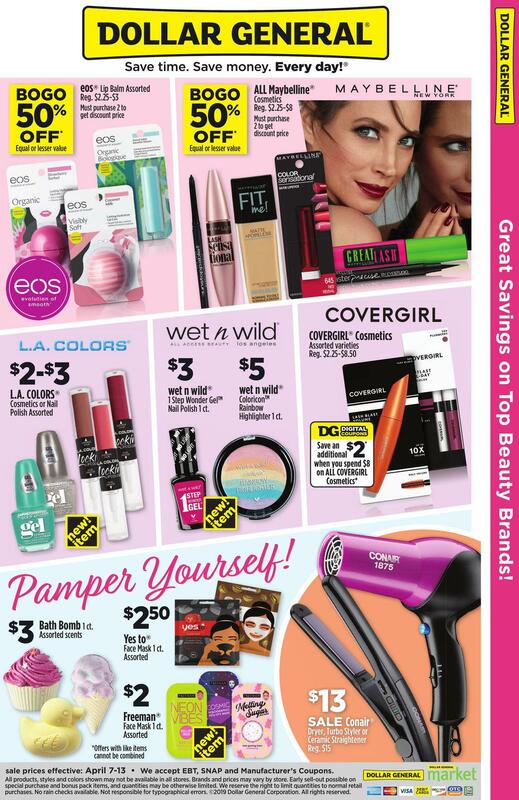 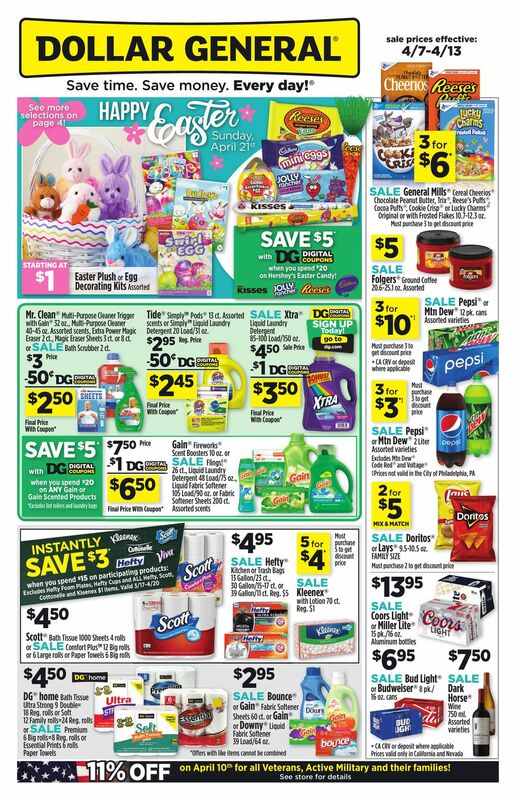 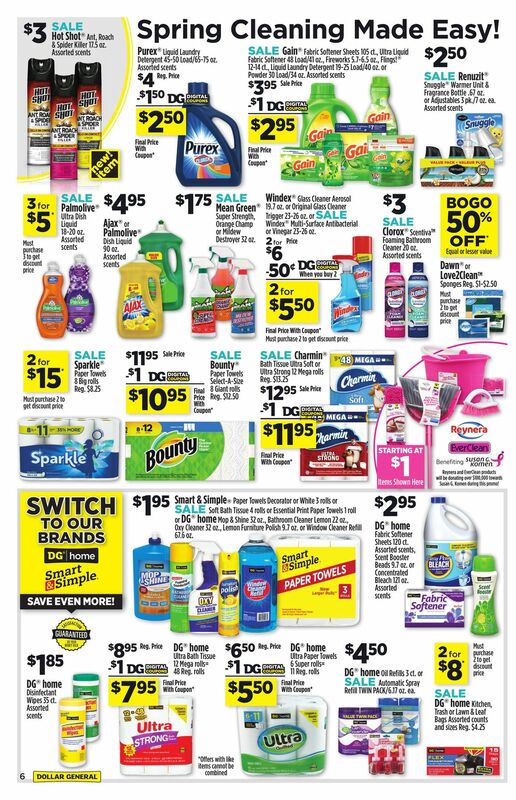 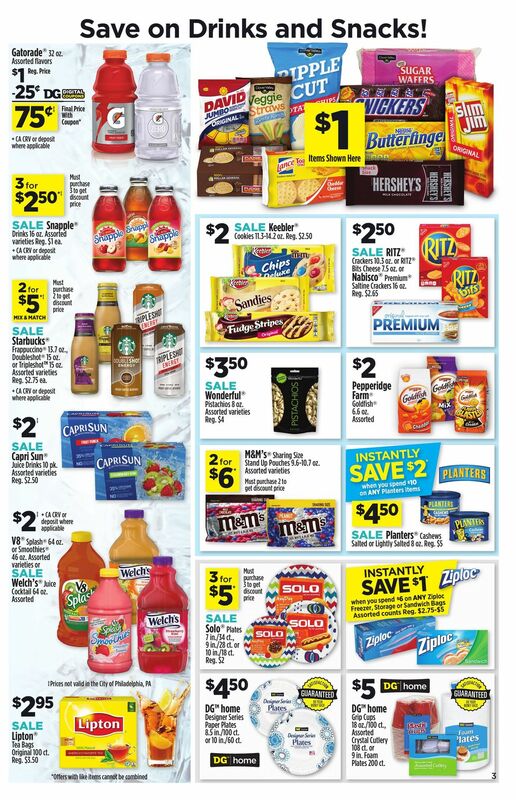 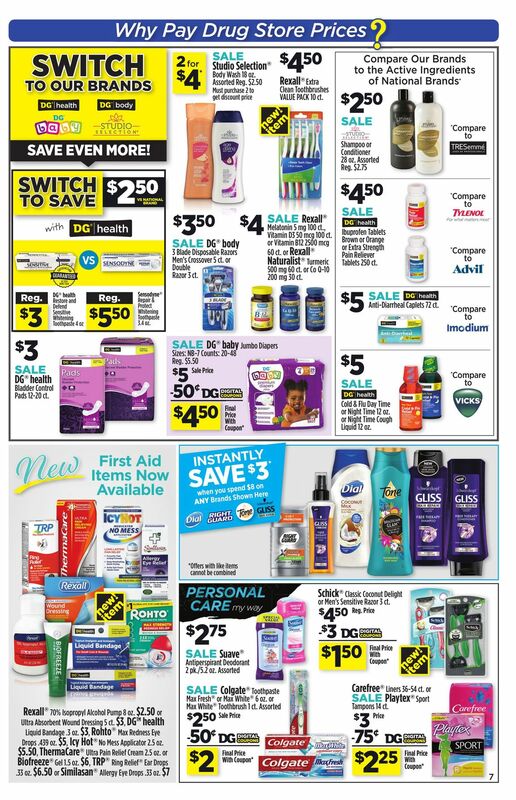 Dollar General Weekly Ad April 7 – April 13, 2019.